SPA – Sanitas Per Aquam. Health through water. Water has been used for centuries for relaxation and as an enhancement to spa treatments, dating back to the Roman Baths and continues to be widely used today in an array of protocols. The Gharieni HydroSpa Collection continues and improves that tradition with its exclusive PediSpa and Libra collections with built in steam and choreographed water symphonies. The Hydrospa Collection was awarded the “Favorite Hydrotherapy Manufacturer” by American Spa Magazine in 2017. The first of its kind, this multi-functional powered bed is truly unique and innovative in its design. 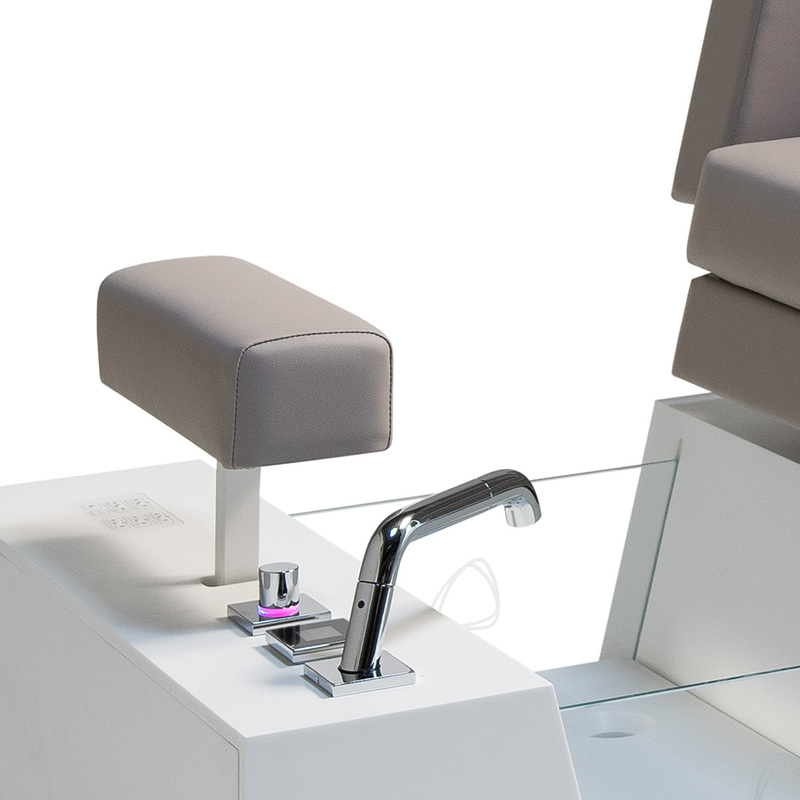 5 distinct actuators allow multi use functions in the spa environment including, pedicures, manicures, hair services, facials and makeup application. 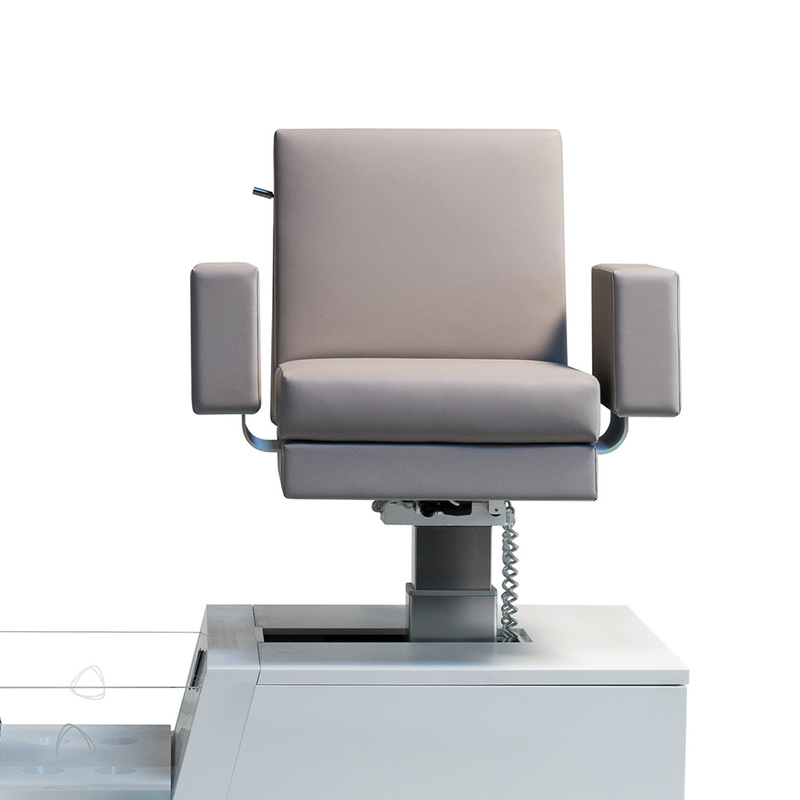 Fully adjustable components include the seat, backrest incline, legrest height and length with easily programmable memory positions. 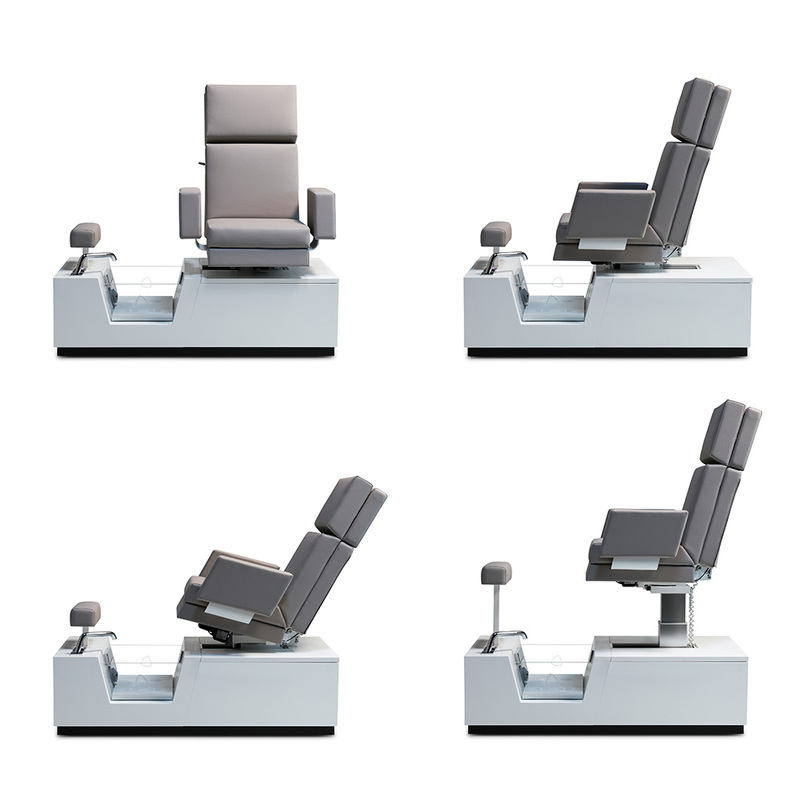 The 5 actuators move into desired positions and the seat swivels right/left for easy client access. 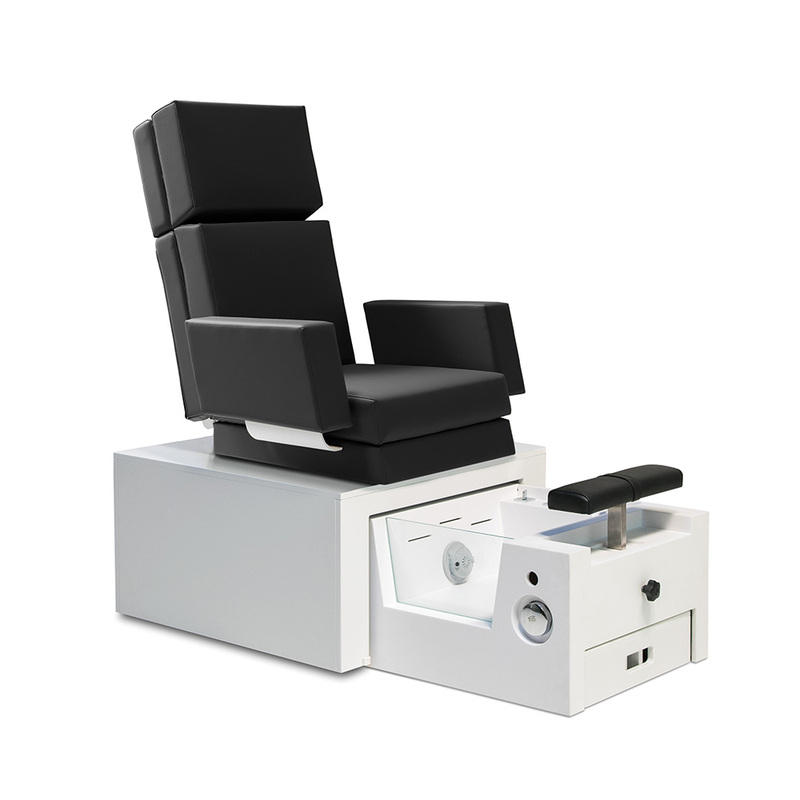 The removable headrest allows hair services including shampooing and the back inclines for convenient aesthetic access. Composed of high quality and durable white Corian for the base and housing with white leather like upholstery for the seat which is standard. Other colours are available and can be customized upon request. 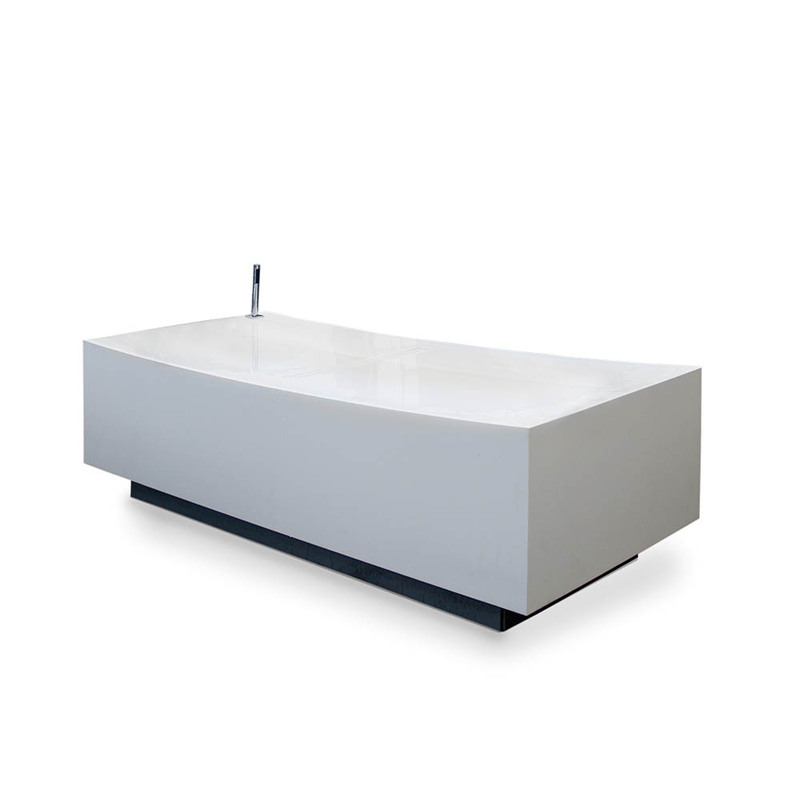 A dual part base, the Compact seat moves laterally and the Corian base is affixed to the floor. Seat is white leather like upholstered and can be color customized. When moved forward, the seat will encase the foot basin, as shown. 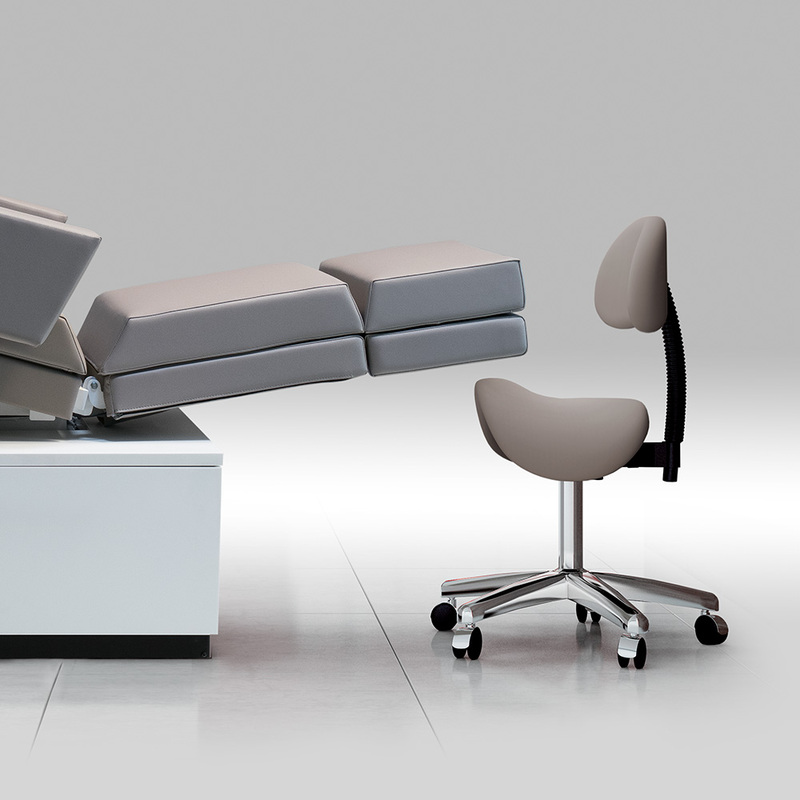 Backrest and footrest are fully height adjustable and movable. Headrest is detachable or can be inclined. An armrest tray is also available. 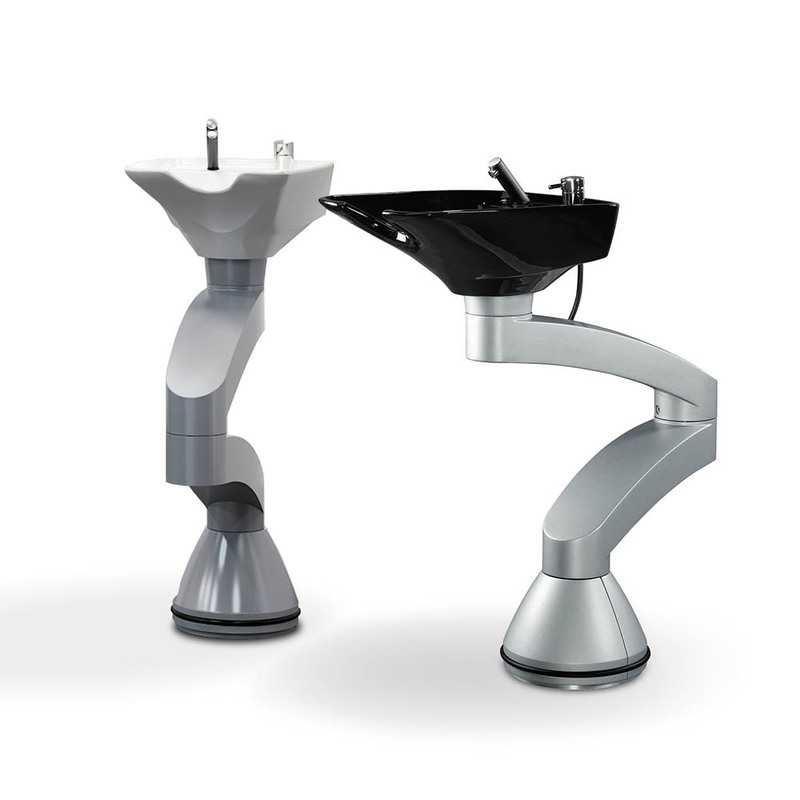 Foot basin is equipped with expendable hand shower and integrated water outlets. length of base (retracted): 80 cm (31.2 in) approx. length of base (pulled out): 150 cm (58.5 in) approx. 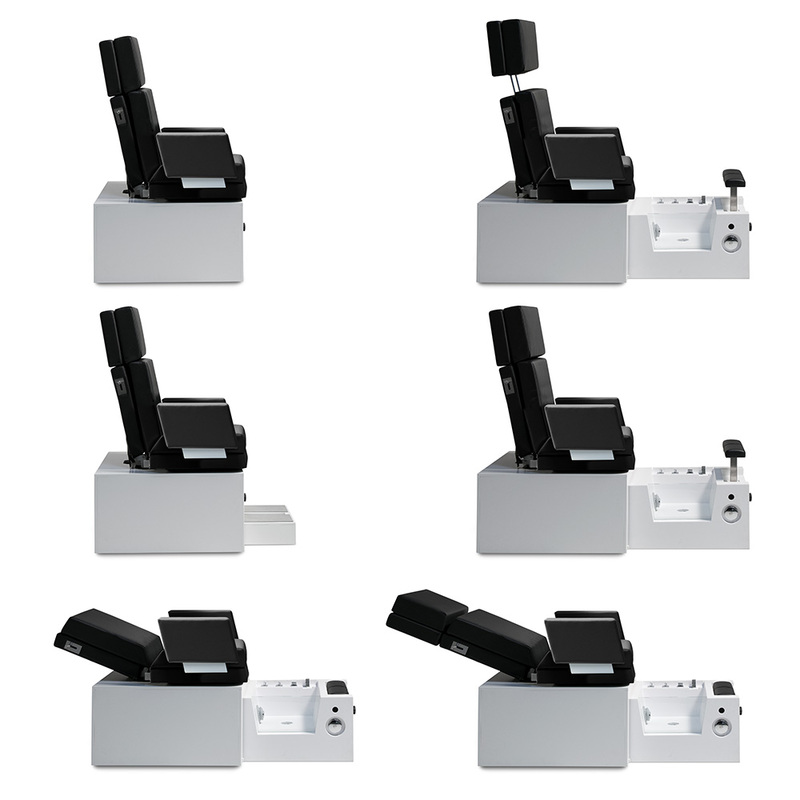 total width inclusive armrests: 86 cm (33.5 in) approx. width of base: 80 cm (31.2 in) approx. Our most basic but fully loaded chair features stunning design and high-quality workmanship. 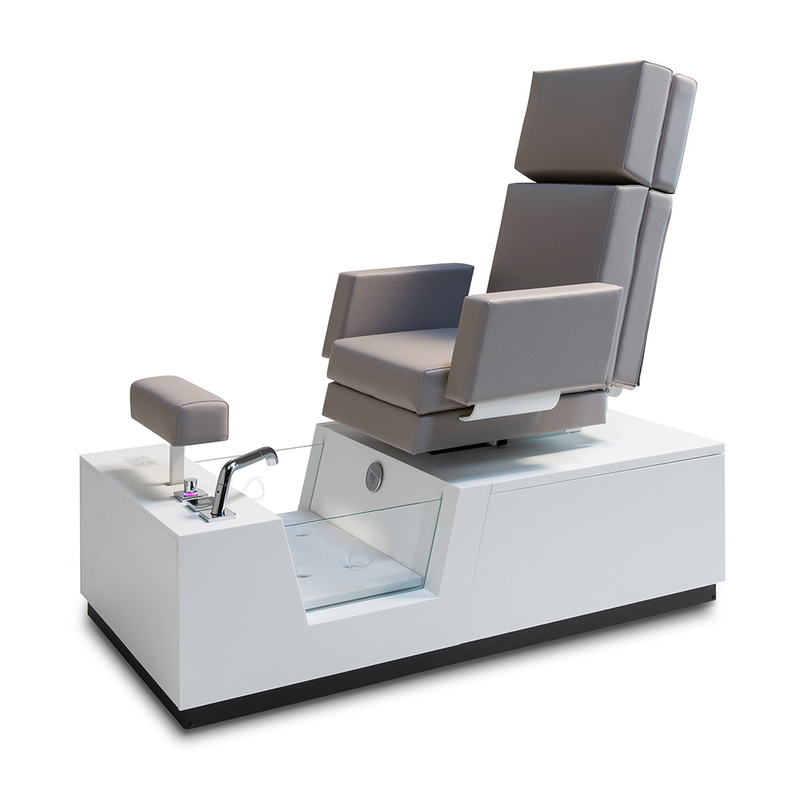 Manufactured with the finest materials, the PediSpa Curve is a real asset for any spa or salon. 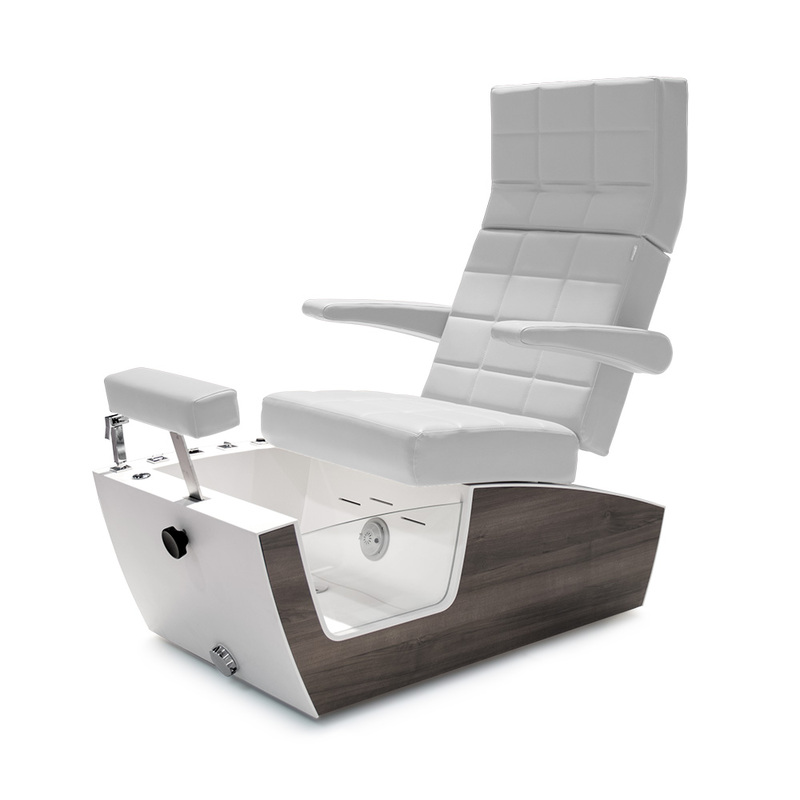 Gharieni‘s new Libra treatment table cements the company‘s position as the trendsetting company in the Wellness and Spa arena. 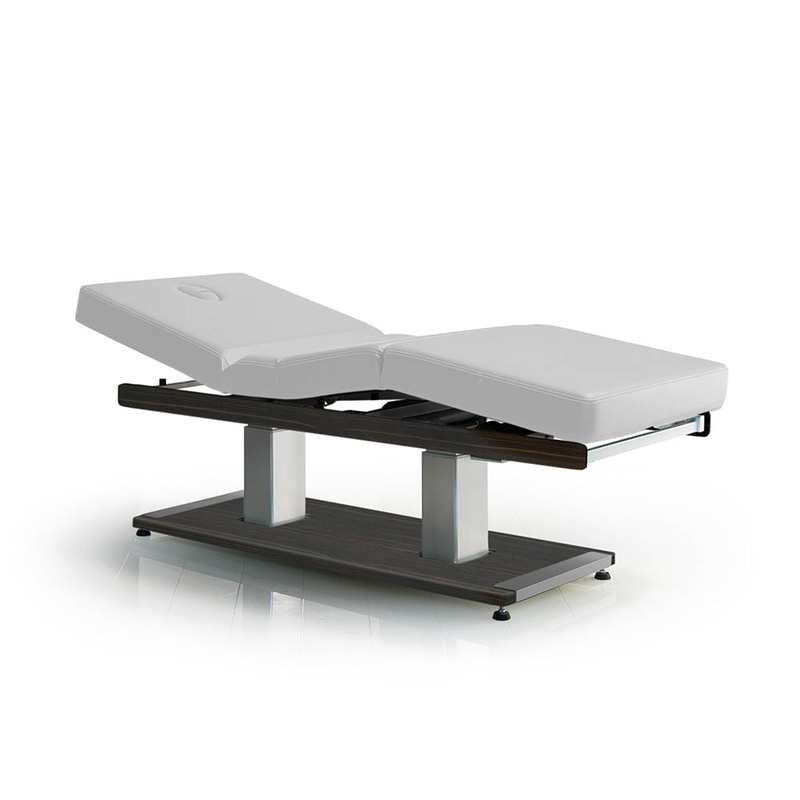 Cutting edge in design, this creates a new water experience for clients who are in a relaxed supine position on a heated treatment table that is fully adjustable in height and length. 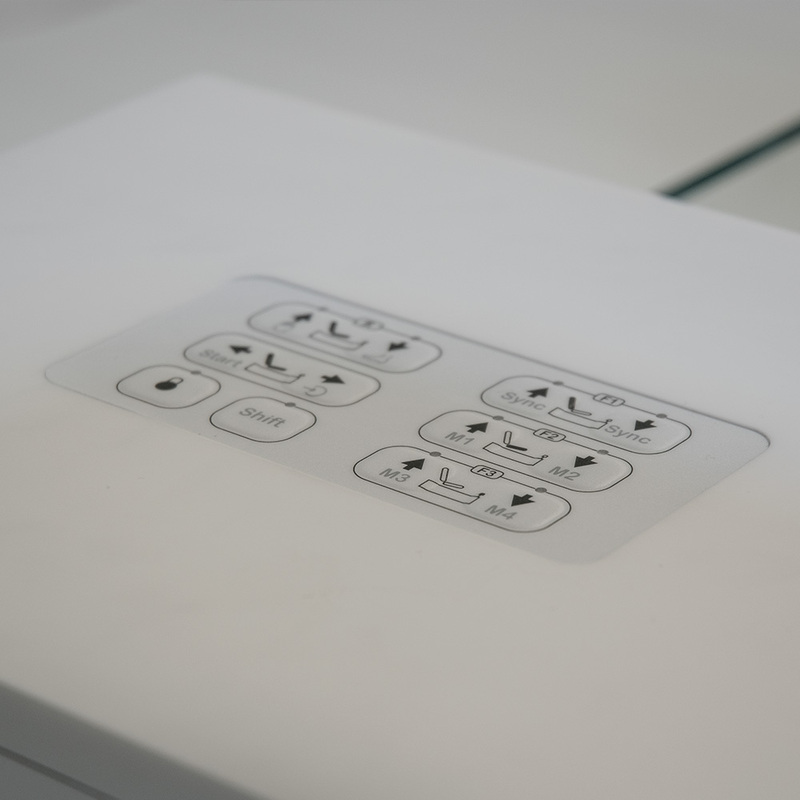 The integrated state of the art technology provides a unique choreography of varying water temperatures and pressure which is programmable in an interactive control panel. 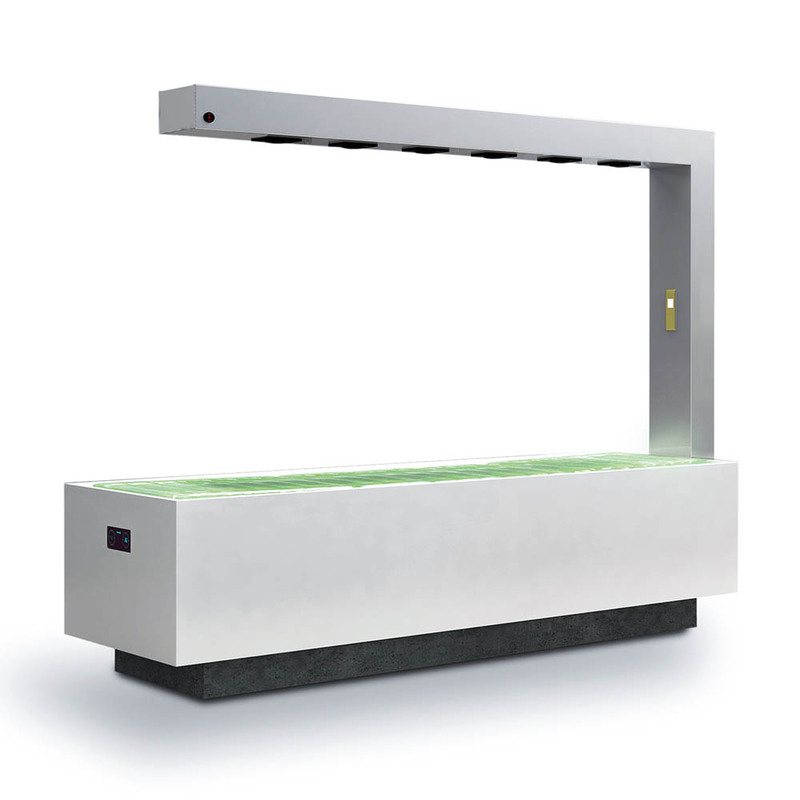 Depending on the client‘s needs, there are preset water choreographies for balancing, stimulating or relaxing effects. 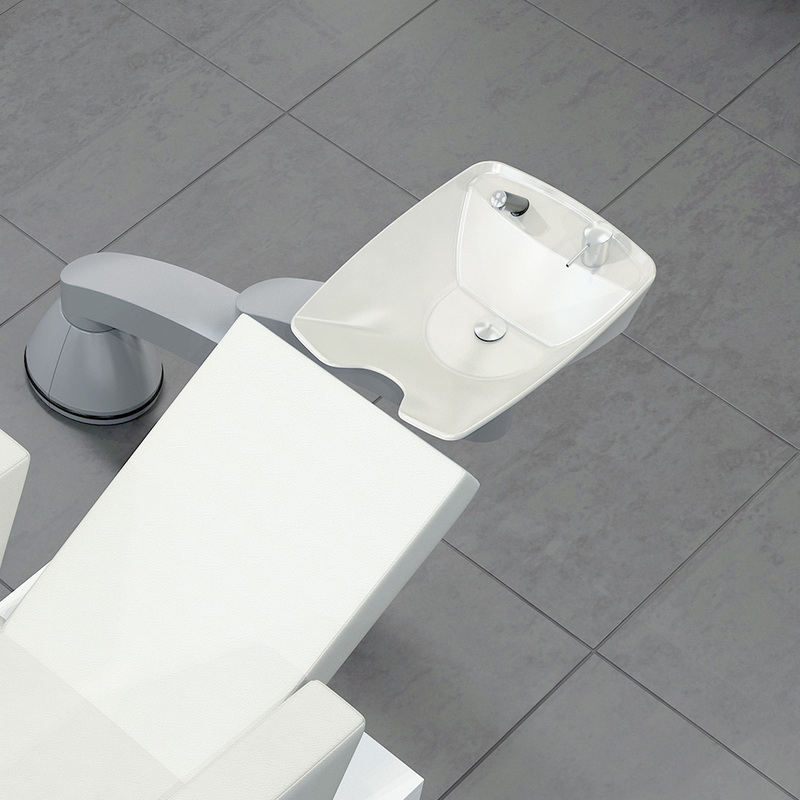 The designer table Libra Flat D is an absolute classic in the wellness and spa area. Equipped with a horizontal shower by the exclusive German manufacturer Dornbracht, it allows for a supine showering experience in a relaxed lying position. The heatable bed, which can be adjusted in height and can be tilted forward and back, is made of fine Corian. 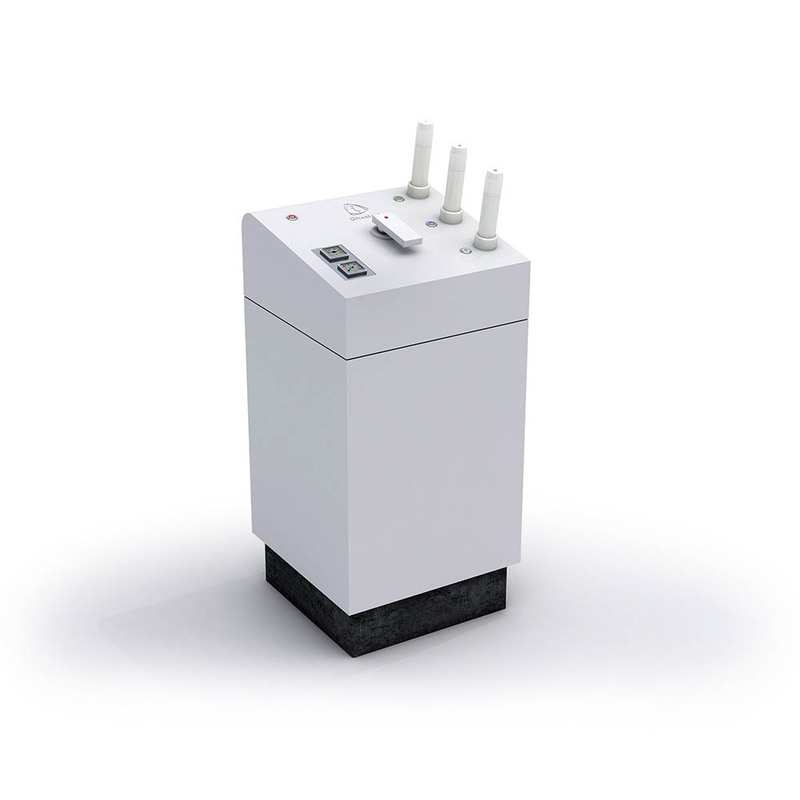 suitable for warm water, mains water, seawater and corrosive water. 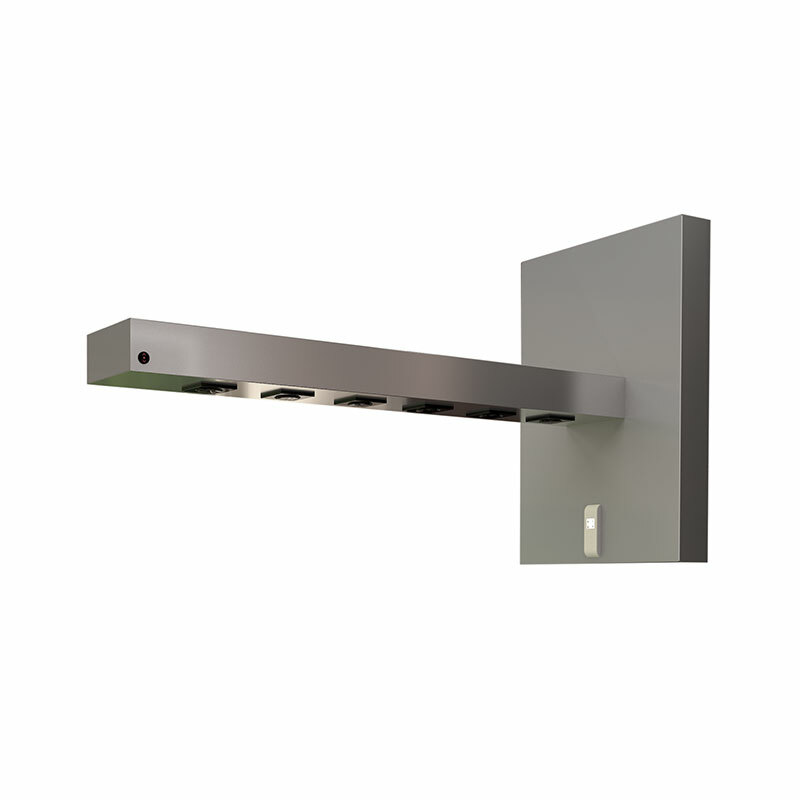 height of basin: 94 cm – 100 cm (37.0 in – 39.4 in) (depending on tilt angle). Exclusive treatment table for wet or outdoor areas. 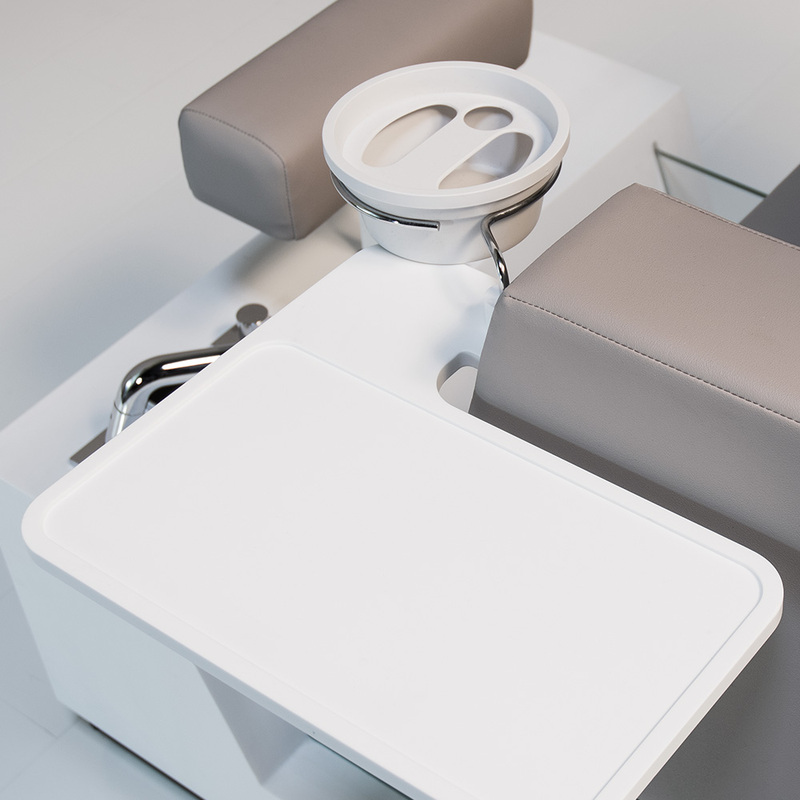 Made of water-resistant materials, this table offers great features such as height and tilt adjustment, waterproof upholstery for wet or dry treatments and an integrated battery for independent power supply. 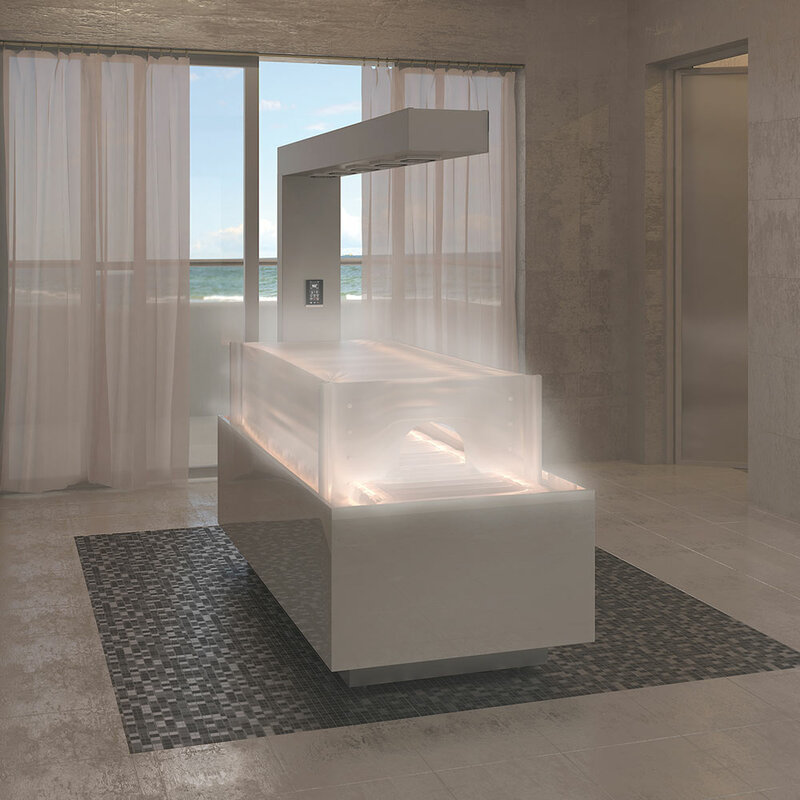 Our HydroSpa Collection truly magnifies great design and strengthens treatment offerings for every spa. Using Modern forms and the best workmanship to create timeless classics. 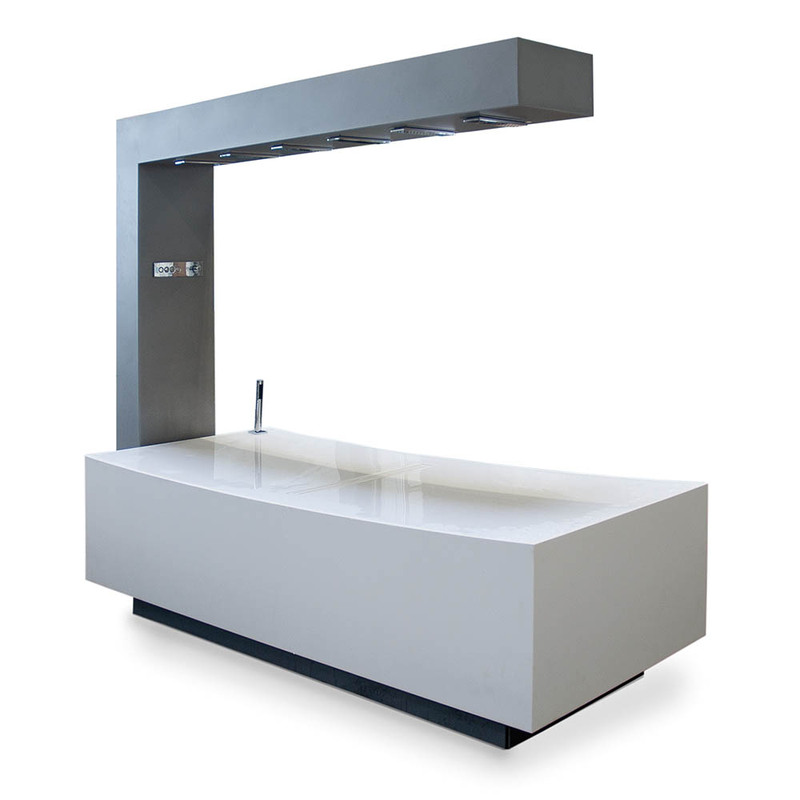 The mineral material Corian® from DuPont allows creative visions to become reality. The durable and easy-care material impresses with its stone-like but nevertheless skin-pleasant feel. With our HydroSpa Collection, only the most modern fittings of renowned manufacturers including Dornbracht and Kohler are used. Simple operation, good design and best functionality offer the best user and practitioner experience.